Let Me Out Please (237/365 year 3) – Annoyingly Boring? 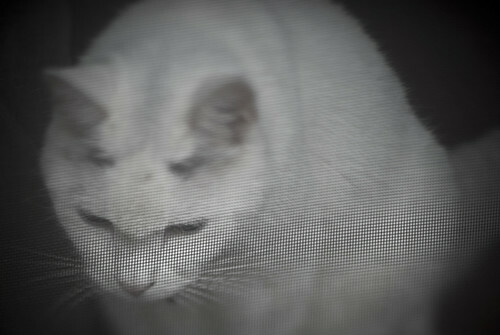 Yesterday afternoon I stepped out onto the patio for a moment and Fluffy sat at the screen door and made the saddest little kitty meows. He’s an indoor cat and you’d think that after nearly 15 years in the family he’d know that I wasn’t going to let him out. Silly cat.